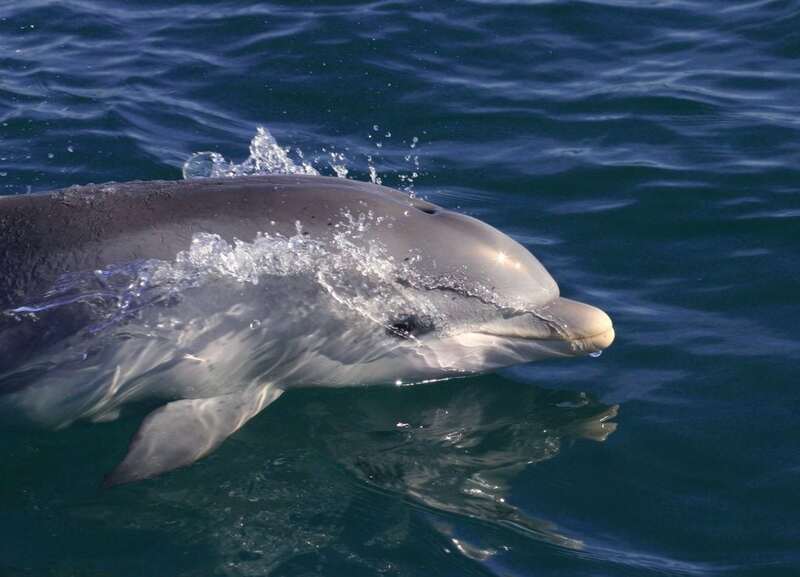 The city of Adelaide in Australia is home to a group of bottlenose dolphins that live in the city's Port River. Dr. Mike Bossley has been studying them for over 30 years. In late 1987 a photograph appeared in the Adelaide Advertiser. It showed a young dolphin and a horse swimming together in the gray light of early dawn. The photo attracted Dr Mike Bossley's interest and initiated a 31 year study of the local dolphins which continues to this day. The dolphin in the photo became known as Billie and her story encapsulates in many ways the story of these highly urbanized dolphins. Billie was an orphan when first encountered in 1987 but the fate of her mother is unknown. In the twenty five years of her life she experienced being trapped behind a lock, held in captivity and had five of her seven calves die in infancy. One of her surviving calves became trapped in an industrial sump and was only rescued by a lucky accident. We don’t know why so many of Billie’s calves have died but suspect the polluted waters which she called played their part. While in captivity, Billie apparently learned how to “tail walk” by observing the trained dolphins. After her release from captivity she returned to the Port River and began tail walking there. For many years she was the only dolphin to perform this behaviour but in the next few years other dolphins were obvserved tail walking as well in what seems to be an example of animal cultural behaviour (behaviour passed from generation to generation by learning). 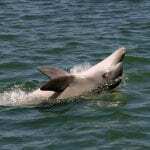 Sadly, Billie died well before her time in 2009, the victim of kidney failure, but even today, some dolphins in the population continue to tail walk. 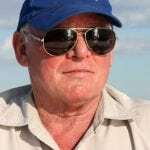 Mike’s patient, non-invasive observations and photographs over the years has revealed that about thirty dolphins spend most of their time in the Port River estuary; an equal number visit regularly; and a further hundred or more visit on an occasional basis. 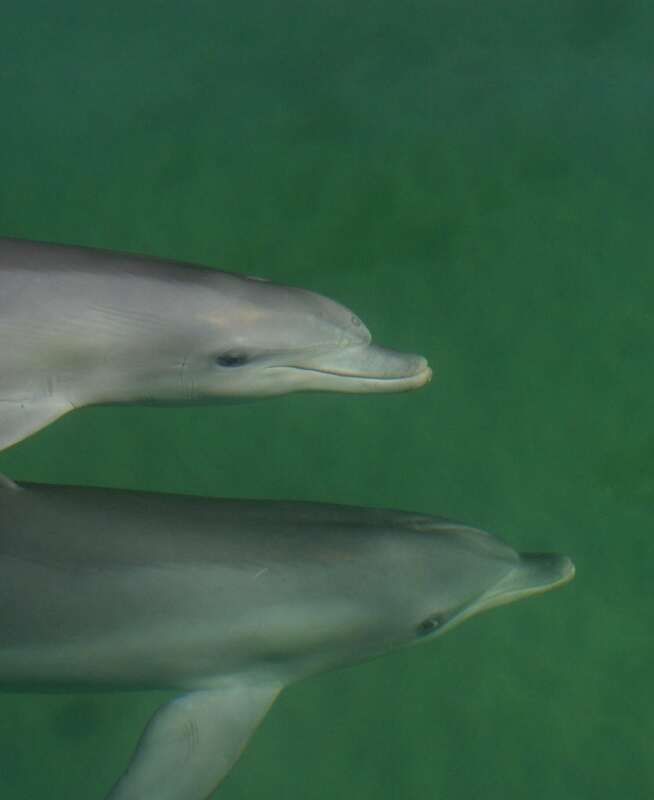 Identifiable dolphins have been named and their fates tracked. Sadly, there have been many deaths and injuries caused by humans, some deliberate (shootings, stabbings and being speared) and some accidental (boat strikes and entanglements). 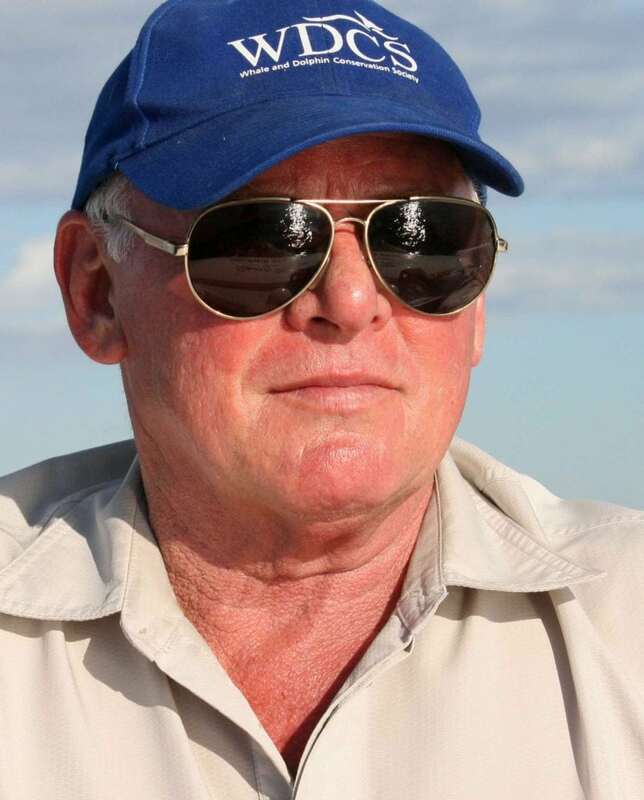 The area has now been declared a dolphin sanctuary and is regularly patrolled by government rangers. WDC continues to fund Mike’s research and he is supported by a number of committed volunteers. The Sanctuary is 118 km² extending from the upper reaches of the Port Adelaide River to North Haven, through North Arm and Barker Inlet, extending into Gulf St Vincent to Pt. Gawler Conservation Park. Conditions for the dolphins in the estuary are gradually improving but their environment is still subject to many pressures, including increased tourism and other recreational activities, industrial development and an increase in the number of people living in the area. We cannot relax in our attempts to protect these dolphins and the environment on which they depend. 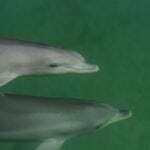 These dolphins are the first known permanent metropolitan population in the world. These wild dolphins were taught to 'tailwalk' by a dolphin previously held in captivity. Human activities, particularly speeding boats, are the main threat, especially to dolphin calves. 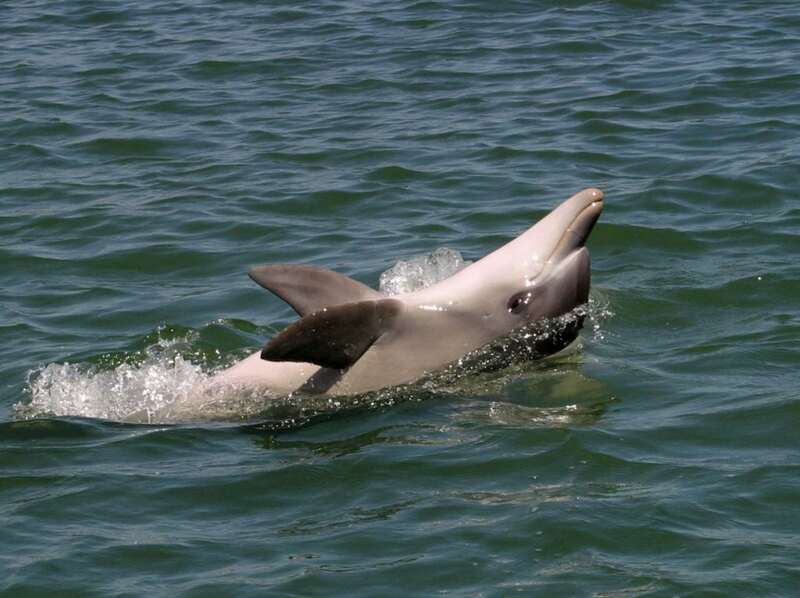 The Adelaide Dolphin Sanctuary was created in 2005 to protect their home. Our Facebook page provides regular updates, images and video from our volunteers, Marianna and Sharon.